Recently I saw a video of a science demonstration in a children’s museum, and found myself wondering if the children were learning anything. What is the purpose of science demonstrations in museums? And what makes them effective at achieving whatever purpose we assign to them? To address this question I experimented with a first for this blog: A group conversation with not one but THREE experts. 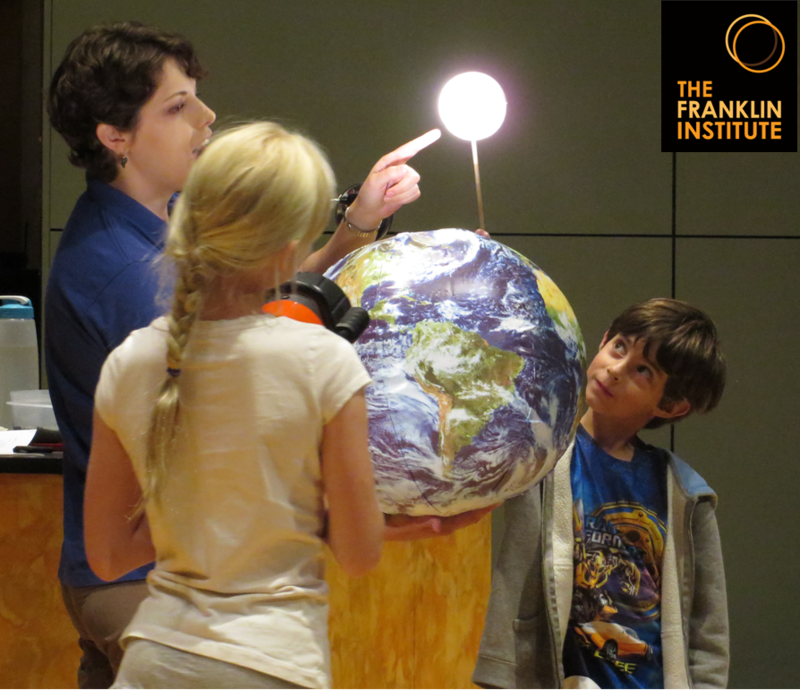 Paul Taylor is the Manager of Traveling Science Shows and Community Outreach at the Franklin Institute. He performs hundreds of shows each year, many of them at local schools. 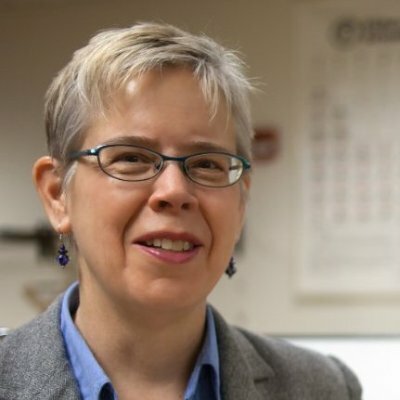 Holly Kerby is Faculty Emeritus at Madison College, and the Executive Director of Fusion Science Theater. She has done a great deal of research into the impact of science demonstrations in museum and school settings. 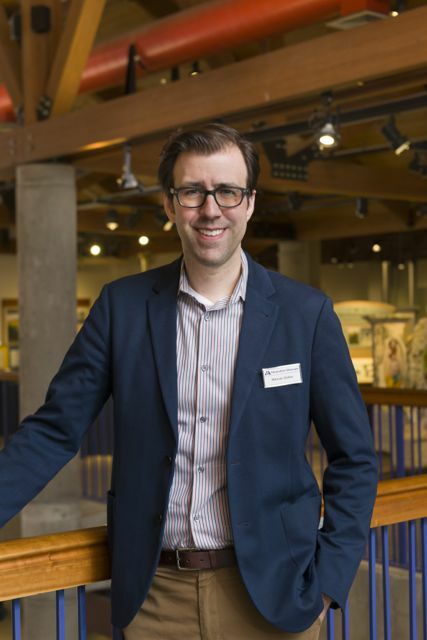 Marcos Stafne is the Executive Director of the Montshire Museum of Science. His experience with science demonstrations includes 5 years at the Orlando Science Center and 8 years at the New York Hall of Science. Why offer science demonstrations in science or children’s museums? Paul: That’s the point of a science museum – to show a science phenomenon as clearly as possible. Demonstrations actually show the incredible things we don’t normally get to see – what I call science phenomena. Holly: We also need to think about what impact we have on visitors. Demonstrations impress them – they experience a visceral reaction, an emotional connection. And we are all hoping that they all learn something, too. Marcos: Demonstrations also help to spark curiosity about things that might be present in the galleries. For example, if we’re demonstrating with a van de Graaff generator in a gallery dedicated to electricity exhibits, the demonstration gets visitors excited about static electricity or seeing direct current. Kids get excited to learn, which leads them into further exploration of the exhibits. Paul: But really the main goal of a demonstration is getting kids excited about science. Holly: Getting kids interested, sparking curiosity, all that is really good, but under certain circumstances it’s valuable to learn concepts – as long as that doesn’t kill their excitement. In informal science, the excitement has to be there in order for them to learn. Marcos: If we’re looking at it from a school-based perspective, demonstrations provide a common experience for the school group and teacher. Good demonstrations often have good lessons that go along with them, to use back in the classroom. It’s one of the benefits or having science demos—but not the primary one. Holly, you wrote in an email to me, while you believe in the power of demonstrations to engage visitors, “there is scant evidence that traditional demonstrations teach the concept that they are demonstrating. By traditional, I’m talking about demonstrations in the form of Introduce, Demonstrate, and Explain (IDE). People assume that they do– in fact they go to great lengths to cite learning theory. They also say that they may not teach a concept at the time of the demo, but that they promote future learning. But there is no evidence for that either. What evidence we have comes from classroom studies and that data shows that IDE demonstrations DO NOT result in increased understanding of the concept. Marcos: I think we need to differentiate between traditional academic science demonstrations, and demonstrations that can happen in a museum. Best practice for science demonstrations in a museum involve inquiry. Instead of “Introduce, Demonstrate, Explain,” we see “Introduce, Inquiry, Demonstrate, Inquiry, Explain, further Inquiry.” There are usually questions happening, and the inquiry is vital to a successful engagement. Holly: There are questions in the IDE format. Often demonstrators ask you to predict what will happen; this is a good practice. But even though in the classroom teachers ask lots of questions, and lead discussions for students, it’s very hard to show that students actually understood the concept. Marcos: I want to clarify the notion of “concept.” If we are learning about eyes, and we want visitors to know and label eleven parts of the eye just from participating in a Cow’s Eye Dissection (a popular demo at many museums), you would be hard-pressed to test 12 year olds and have them know all eleven parts after a demo. But that’s not always the primary goal. We’re looking at how do we get everyone – kids, adults – engaged in the act of science through observation and the scientific method. This goal is not to get an A on a test on the eye, but let them practice the language of science while in an extraordinary environment. That’s where museums can help – by helping visitors develop the language of science. You have listed a number of reasons to conduct science demonstrations. I am wondering, under what conditions are demonstrations effective? Let’s go through some ideas. First, when do demonstrations get visitors excited about science, or spark curiosity? Paul: When there is what we call a discrepant event. You expect one thing, and something different happens. These create lasting memories. For example, you have two racquet balls, and you place one in liquid nitrogen. The first ball bounces, but the one in the nitrogen shatters. That’s a discrepant event. Marcos: It’s a lot about the energy and enthusiasm of the presenter, and setting the stage for a quality experience. Good demo areas are ones with clear sight lines, and visual clarity on the table so that children can focus. Holly: We started talking about curiosity, but the quality of the presentation is important for all of our goals. You need a performer that invites the children and families into it. Some people are more inviting than others. Paul: Open ended questions. Yes and no questions tend to stop open-ended inquiry. Open ended questions help people dig deeper. Marcos: Descriptive questions. Asking people to verbalize their observations. Asking, “What do you notice?” Asking kids to share what they are seeing and processing. If someone says something important scientifically, ask that what makes them say that. It’s too easy for many science instructors to identify what’s correct without asking visitors why they came to a conclusion about a concept. Asking “what made you say that” helps to unpack what a kid is thinking—but it requires active listening. Holly: If you ask “what do you think is going to happen,” it invites all sorts of responses – especially if you welcome all sorts of responses, and ask visitors why they think that. It is important that people predict. When do science demonstrations effectively teach the “language of science”? Holly: In Fusion Science Theater we have a show protocol that teaches language. For example, we say something like, “In science, what we do is make observations. We’re going to ask you “what do you see?” Then we invite visitors to make observations. We also model making observations. Marcos: Authentic language is important. So is the attitude and presence of the facilitator. When the demonstrator/educator values visitor responses that help kids practice the language of science because it helps them feel positive about science. Paul: We use these words, talk about why we’re using them, and incorporate them into demonstrations. We teach people how a scientist thinks, and why, because it helps us understand the world around them. When do science demonstrations effectively make a connection to a museum exhibit? Marcos: When I facilitated demonstrations at the Orlando Science Center we would say something at the end of the program about adjacent exhibits. Physically walking the group from the demonstration to the exhibit also helped. Not all demonstrators are given time to do that. They might have equipment or chemicals they need to watch or clean up. Paul: Here at the Franklin Institute we have smaller science demonstrations on a cart, which we often use right outside or nearby an exhibit, so it’s easy to reference things in that exhibit. Do people remember or reference the nearby exhibit? Paul: I don’t think so. But some positive transaction has happened, and it accumulates into a love for science. Marcos: You have to at least try to make that connection. Asking whether or not it happens – that’s a hard thing to judge because of a visitor’s agenda. Visitors may have come to the demonstration right before their lunchtime, or at the end of the day, or at the beginning of their visit. That’s the difficulty of free choice learning environments. Assigning two educators/ facilitators to a demonstration also can be helpful. At OSC in the 90’s, we often had an usher for the demo – someone who helped get the crowd excited, watched materials, and handled logistics—not the person doing the demo. This let the facilitator actively engage with exhibits and visitors after the demonstration was over. A second educator is not always a budget reality, but it’s a good best practice. When do science demonstrations effectively teach scientific concepts? Holly: It really takes concerted teaching to make that happen. The other thing it really takes – and I think this is true for all of the things when we talk about effectiveness – is an evaluation, so we know if we achieved the effect we wanted. If we’re going to say things are best practices – we don’t really know unless we take the time to evaluate them. I was a classroom teacher, and I assumed what I did led to increased understanding, and then I found out it didn’t. We can be fooled a lot of time. You need to have some sort of way to evaluate whether you were successful. Marcos: When you frame a demonstration well there is a story, a rhythm to it, an inciting incident or a discrepant event, a climax, and dénouement— drama that makes the information stickier. There needs to be an arc, a story. Holly: Learning isn’t just a matter of having someone tell you the answer, it’s a matter of trying to figure it out for yourself. You have an expectation; it wasn’t what you thought; you have to figure it out yourself. A story line helps people – it motivates them to figure things out for themselves, to figure out the end of the story. Marcos: Great storytelling is also about clarity. What are the ingredients you put in there? What’s the big idea? 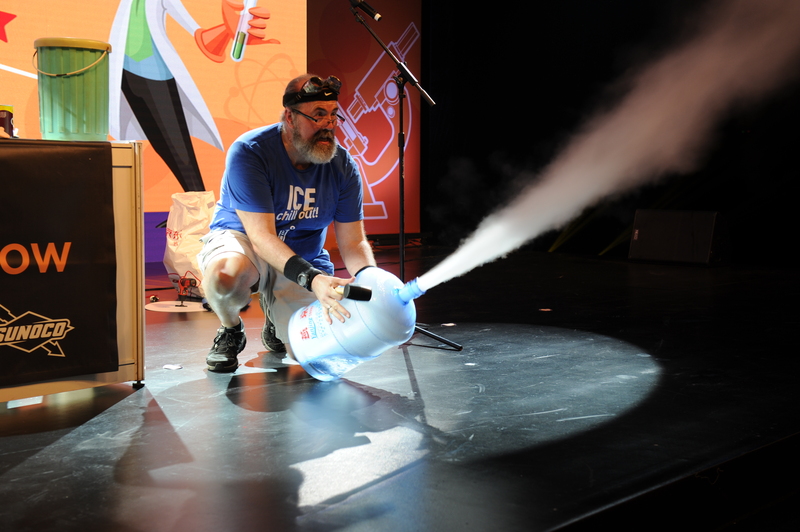 When I first started facilitating demonstrations or science shows, I’d be handed too many individual, disparate, demos to accomplish in 30 minutes…all about chemistry…but they don’t necessarily relate to each other. But then I grew as an educator, I would, slow down, provide more opportuinites with deeper inquiry around three or four demonstrations that framed once concept through a narrative. For example, a big idea might be, “butterflies have symmetry.” We might look at symmetry four different ways, but there’s just the one concept, the one big picture. With electricity – the big picture for me was observing the visible differences how direct and alternating current act. You may need to do 5 or 6 different demonstrations (and because it’s electricity, it needs to be handled by a skilled/trained facilitator for safety), to have visitors start to understand the difference. Holly: There is data that if you concentrate on one thing, and you are very focused on it, you are much more likely to have people understand that one thing. We are worried that people will be bored so we trot out all these demos. It’s highly entertaining, but it muddies the waters in terms of teaching. Sometimes simpler demonstrations help to teach better than the complicated one. Holly: What never came up in our conversation was safety. Demonstrators and anyone “helping with a demonstration” – meaning anyone within splatter, flame, and spill distance – need to be wearing goggles and protective gear when doing anything remotely hazardous. The TV clip you directed us to before we began our conversation had the young volunteer working with a chemical that is a strong oxidizer, with his goggles on his forehead. Had it splashed in his eyes he would have suffered permanent eye damage. He also should have been wearing gloves.It is our obligation as demonstrators to comply with basic safety procedures to protect ourselves, our visitors, and to be good examples. Crouch, C.H., Fagen, A.P., Callan, J.P. and Mazur, E. (2004). Classroom Demonstrations: Learning Tools Or Entertainment? American Journal of Physics. 72(6), June 2014. Roth, W., McRobbie, C.J., Lucas, K.B. and Boutonné, S. Why may students fail to learn from demonstrations? A social practice perspective on learning in physics. Journal of Research in Science Teaching, 35(5), May 1997. 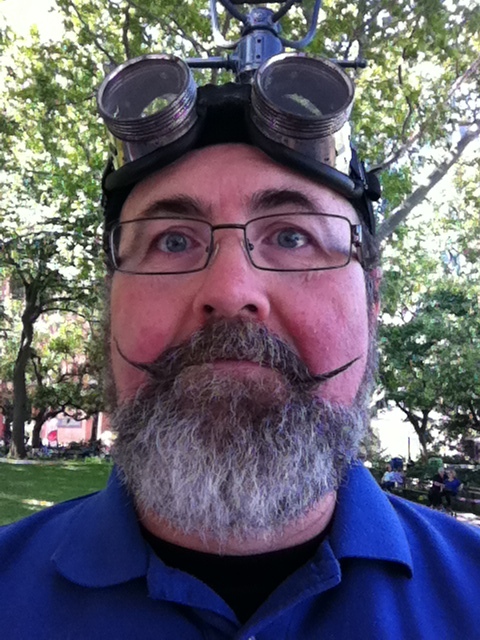 Kerby, H. W., Cantor, J., Weiland, M., Babiarz, C. and Kerby, A. W. Fusion Science Theater Presents The Amazing Chemical Circus: A New Model of Outreach That Uses Theater To Engage Children in Learning. Journal of Chemical Education 87 (10), August 2010. ← What are your Museum Questions? Thanks for this post Rebecca. Some interesting observations here. A few that sprang out to me were having an usher to help get things started / build anticipation; providing materials for visitors to use back at school / home; and the somewhat unclear outcomes. We’re just embarking on developing some science demonstrations for some upcoming programs at the museum so this is a very timely post for us! Being an evaluator I’ll definitely be looking into how we collect some good data around this. Lynda, I’d love to hear about your findings when you have them! Great post! Beyond the wow factor that science demos can provide (a puff of smoke, hair standing on end) I often wonder if the students are getting the big picture. In other words, why is butterfly symmetry important? Is it important? Hello Andrea, It’s Holly from Fusion Science Theater responding to your query about whether students are getting the big picture. Learning the big picture or fundamental concepts is the point of Fusion Science Theater, and we have found that you don’t get that outcome unless you design for that outcome. For example, if the importance of butterfly symmetry is something you want them to “get” from your demo, you’ll want your presentation to show them, or better yet, have them figure out that symmetry is something the butterfly can’t live without. (What could a butterfly NOT do if it wasn’t symmetrical? I’d be interested in seeing it try to fly with two different sized or shaped wings.) Conventional wisdom worries that this sort of learning-based approach will threaten visitor enjoyment, engagement, and excitement, but we have found that children and their families feel great excitement, satisfaction, and joy when they learn something, especially if they can show off their new knowledge/understanding by using it to solve a related problem.